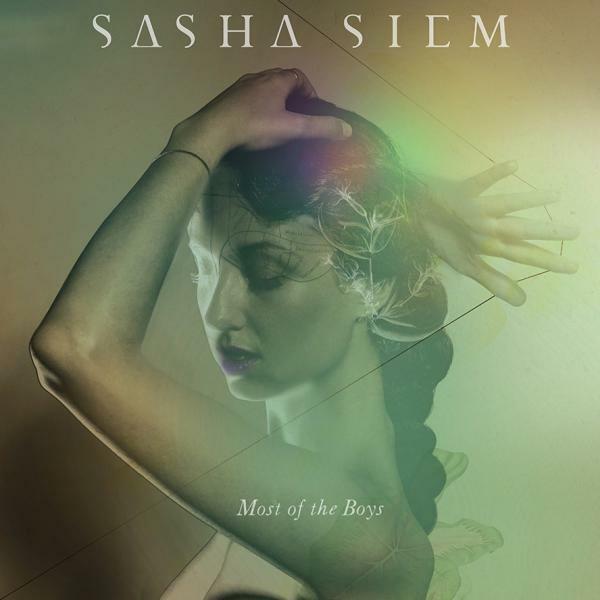 Anglo-Norwegian artist Sasha Siem has announced the release of her debut album, Most Of The Boys, which will be available through Blue Plum Records on March 2, 2015. The debut LP follows recent single ‘My Friend’, which saw her musical background collide colourfully with her appreciation of more contemporary artists such as Andrew Bird and PJ Harvey, giving way to a sold-out London single launch and praise from the likes of NME, Clash Magazine and Noisey. Written during a spell in Berlin and later produced by Valgeir Sigurðsson (Sigur Ros, Bjork, Bonnie Prince Billy, Feist) at Reykjavik’s legendary Greenhouse Studios, Siem’s debut LP Most Of The Boys is a song cycle. Its twelve songs are as linked by their themes as by the sonic world they inhabit - born of an unlikely collusion of influences that Siem has woven together: her years spent composing and performing award-winning contemporary classical music; her fascination with likeminded lovers of innovative songwriting and unusual arrangements and her youthful love of the canon of great songwriters that emerged in the 1960s. At its core, Most Of The Boys is a love story; the songs demonstrate a protagonist on a quest through a series of entangled relationships and binding attachments. If this protagonist starts puppet-like with a clinical, almost detached perspective of the world within which she is entangled (“How do you kiss a kind man, then cut him out at the second draft?” – ‘Kind Man’s Kiss’), then she emerges full-bodied and awash with the passionate life force of her inner being on My Friend (“You have the answers inside and with a hand on your heart they’ll guide you”). Closing track ‘Valentine’ – with its hazy, extended instrumental interlude - signals she has dived off the stage of Most Of The Boys, with its theatrical carousel of failed relationships, and into her inner psyche. Love, she discovers, is found within. Most Of The Boys boasts beautifully intricate instrumentation on the album’s opening title track, powerful drama in the climax to ‘Proof’, while ‘My Friend’, ‘Tug Of War’ and ‘Silence’ highlight Siem’s majestic vocal delivery amid aching, placid melancholy. It is frequently startling – both musically and lyrically – and betrays a rare love of words and wordplay, something displayed right from the album’s opening lines: “Most of the boys were experiments/ Which is why she now has several exes/ After her name, like kisses”. Sasha Siem grew up in London as the daughter of a Norwegian father and an English Art-historian mother. She began playing the piano at the age of five, picked up the cello soon afterwards, and by the age of 11 found herself studying at London’s Guildhall at weekends. By her 20s – having studied at Cambridge and, later, Harvard – she had composed for, amongst others, the London Symphony Orchestra, the London Philharmonic Orchestra and the Norwegian Chamber Orchestra, while in 2010 she won a prestigious British Composer Award. Being a lover of poetry though, she yearned to write songs which would marry her words and music, rather than the orchestral or chamber pieces that had dominated her commissioned work to date. When initial experiments with singers proved frustratingly formal, Siem undertook a year-long retreat to Berlin, where she wrote her first collection of songs that would grow into a debut album that manages to be imposing yet subtle, playful and ever-sincere.